Christian wants a Rösti, Harry would like a Schnitzel, our trumpeters have their mind set on Fondue Chinoise, Juan is after a sizzling Steak, Fritz prefers a salad und Damian is interested in Pasta. But which restaurant in Reinach can possibly cater to all our wishes? 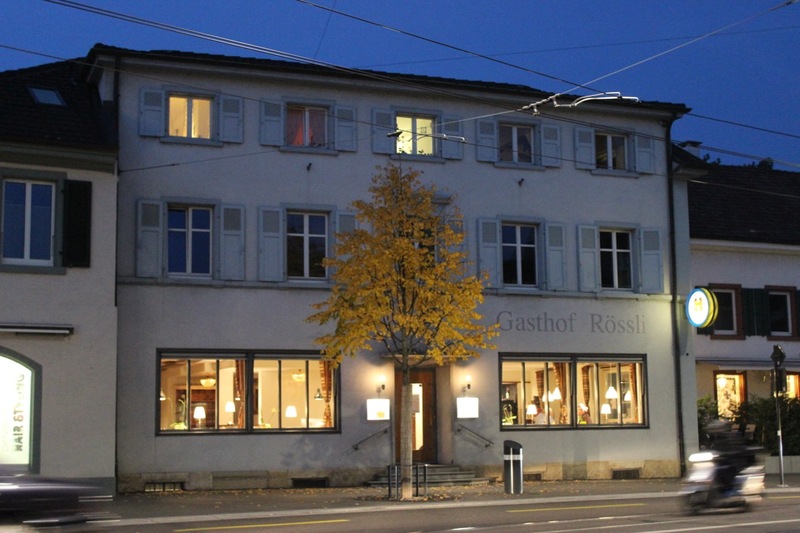 The answer is the newly renovated Restaurant Rössli on the main street of Reinach, of course. The team lead by Katerina Fankhauser convinces with their friendly service and tasty Swiss cuisine, which we enjoy time and time again. We highly recommend their Hot Stone specialities as well as their great selection of local and international wines. Since its renovation the restaurant has a modern yet comfortable interior decor and we also enjoy drinking a seasonal beer after our band rehearsal on Tuesdays. You can choose from a changing daily menu from Monday to Saturday from 11am to 11pm. Valiant Bank Reinach is proudly supporting Brass Band BlackBoxMusic. My favorite brass band from Reinach has written another Gourmet-Tip in English, thank you guys!